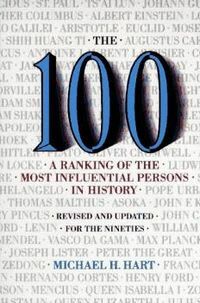 This is a list chosen by Michael H. Hart, from the book ‘100 most influential people in the world‘. He chose people on a ranking of who had done the most to influence the world. I recommend reading the book as it offers an interesting insight into the influence of different individuals. As the author notes ‘Influential’ does not include a judgement on whether they influenced the world for the better or worse. Muhammad (570 – 632 AD) Prophet of Islam. Isaac Newton (1642 – 1727) – British mathematician and scientist. Jesus Christ (c.5BC – 30 AD) Spiritual teacher and central figure of Christianity. Buddha (c 563 – 483 BC) Spiritual Teacher and founder of Buddhism. Confucius (551 – 479 BC) – Chinese philosopher. St. Paul (5 – AD 67) – Christian missionary and one of the main writers of New Testament. Ts’ai Lun (AD 50 – 121) Inventor of paper. Johann Gutenberg (1395 – 1468) – Inventor of the printing press. Christopher Columbus (1451 – 1506) – Italian explorer landed in America. Albert Einstein (1879 – 1955) German/ US scientist discovered Theory of Relativity. Louis Pasteur (1822 – 1895) French biologist. Developed a cure for rabies and other infectious diseases. Galileo Galilei (1564 – 1642) Italian scientist – confirmed the heliocentric view of the universe. Charles Darwin (1809 - 1882) –Scientist who proposed and popularised theory of evolution. Shih Huang Ti (259 – 210 BC) – King of the state of Qin who conquered and united different regions of China in 221 BC. Nicolaus Copernicus (1473-1543) Renaissance mathematician and astronomer who believed Sun was the centre of Universe – rather than earth. Antoine Laurent Lavoisier (1743 – 1794) French chemist and biologist who had leading impact on the chemical revolution. Constantine the Great (272 AD – 337) Roman Emperor who accepted Christian religion. Michael Faraday (1791 – 1867) – English scientist who contributed in fields of electromagnetism and electrochemistry. Martin Luther (1483-1546) Sought to reform the Roman Catholic Church – starting the Protestant Reformation. George Washington (1732 – 1799) – Leader of US forces during American Revolution and 1st President of US. Karl Marx (1818 - 1883) – German Communist philosopher. Orville and Wilbur Wright Orville (1871 – 1948) – Wilbur (1867 – 1912) – Created and flew the first aeroplane. Genghis Kahn (1162 – 1227) – Military and political leader of the Mongols. Adam Smith (1723-1790) Scottish social philosopher and pioneer of classical economics. William Shakespeare (1564- 1616) English poet and playwright. John Dalton (1766 – 1844) English chemist and physicist. Made contributions to atomic theory. Alexander the Great (356 - 323 BC) – King of Macedonia and military leader. Napoleon Bonaparte (1769 - 1821) – French military and political leader. Thomas Edison (1847 – 1931) – Inventor and businessman helped introduce electricity and electric light bulbs. Antony van Leeuwenhoek (1632-1723) Dutch chemist – founder of microbiology. William T.G. Morton (1819 – 1868) American dentist who pioneered the use of anesthetic. Guglielmo Marconi (1874 – 1937) Italian engineer who helped develop radio transmission. Adolf Hitler (1889 – 1945) – Dictator of Nazi Germany. Plato (424 - 348 BC) – Greek philosopher. Oliver Cromwell (1599-1658) – Leader of Parliamentarians in English civil war. Alexander Graham Bell (1847 – 1922) – Scottish inventor of the telephone. Alexander Fleming (1881-1955) Scottish biologist who discovered penicillin. John Locke (1632-1704) English political philosopher. Locke promoted a theory of liberal democracy and a social contract. Ludwig van Beethoven (1770 – 1827) German composer of the classical and romantic period. Louis Daguerre (1787–1851) French artist and photographer, who is credited with the invention of the camera. Umar ibn al-Khattab (584 CE – 644 CE) Powerful Muslim Caliphate and senior companion of Muhammad. Influential figure in Sunni Islam. St. Augustine (354 – 430) Influential Christian saint and writer, who shaped much of Western Christian thought. William Harvey (1578 – 3 June 1657) English physician who made contributions to understanding how blood circulated in the body. Ernest Rutherford (1871 – 1937) NZ born British physicist who made discoveries in atomic physics. His work on splitting the atom was influential for the development of atomic science. John Calvin (1509 – 27 May 1564) Christian theologian who developed a strict brand of Protestant Christianity which stressed doctrine of predestination. Gregor Mendel (1822 – 1884) Czech/Austrian scientist and friar – who founded modern science of genetics. Max Planck (1858 – 1947) German theoretical physicist who developed a theory of Quantum physics and discovered energy quanta. Joseph Lister (1827 – 1912) British surgeon who pioneered the use of sterilisation and antiseptic surgery. Francisco Pizarro (1471 – 1541) Spanish Conquistador who claimed Inca lands for Spain. Hernando Cortes (1485 – 1547) Spanish Conquistador who conquered the Aztec lands of modern-day Mexico. Thomas Jefferson (1743 – 1826) 3rd President of US. Principle author of the US Declaration of Independence. Queen Isabella I (1451 – 1504) Queen of Castille, who helped create a powerful and unified state of Spain whose influence spread to the Americas. Joseph Stalin (1878 – 1953) Absolute ruler of the Soviet Union from 1924 to his death. Led the Soviet Union in WWII. Julius Caesar (100 BC – 44 BC) Roman ruler who oversaw the demise of Roman Republic to be replaced with a Roman Emperor. Militarily strengthened the power of Rome. Sigmund Freud (1856 – 1939) An Austrian neurologist who founded psychoanalysis, which involved the investigation of the subconscious, dreams and human mind. Edward Jenner (1749 – 1823) Developed world’s first vaccine (the smallpox vaccine). Known as the father of immunology. Wilhelm Conrad Roentgen (1845 – 1923) German physicist who discovered electromagnetic waves or X-rays. Johann Sebastian Bach (1685 – 1750) Composer and organist who created some of the world’s most beautiful music. Voltaire (1694 – 1778). A key figure of European Enlightenment. His satirical writings played a role in the French Revolution. Johannes Kepler (1571 – 1630) German mathematician and astronomer who created laws of planetary motion. Leonhard Euler (1707 – 1783) Swiss mathematician who made prolific discoveries in calculus and graph theory. Nicoli Machiavelli (1469 – 1527) Italian diplomat and Renaissance writer considered the father of political science. Thomas Malthus (1766 – 1834) English scholar who raised concern over growing population. John F. Kennedy (1917 – 1963) 38th President of the US. Served at the height of the Cold War and helped defuse Cuban Missile Crisis. Gregory Pincus (1903 – 1967) American biologist who created the oral contraceptive pill. Mani (216 – ) Iranian founder of Manichaeism, a gnostic religion which for a time was a rival to Christianity. Lenin (1870 – 1924) Leader of the Russian Revolution and new Communist regime from 1917 to 1924. Vasco da Gama (1460s –1524) Portuguese explorer, first European to reach India and establish a route for imperialism. Cyrus the Great (600 – 530 BC) Founder of the Achaemenid Empire, the first Persian Empire. Relatively enlightened ruler. Peter the Great (1721 – 1725) Russian Emperor who expanded Tsarist Empire to make Russia European power. Mao Zedong (1893 – 1976) Leader of the Communist Revolution and dictator of China from 1949-1974. Francis Bacon (1561 – 1626) Creator of the scientific method and key figure in Scientific Revolution of the Enlightenment. Mencius (385–303BC) Chinese philosopher one of principal interpreters of Confucianism. Zoroaster (c. 1200 BC) Iranian prophet who founded the religion of Zoroastrianism. Queen Elizabeth I (1533 – 1603) Queen of England from 1558 to her death in 1603. Cemented England as Protestant country, defeated Spanish Armada. Mikhail Gorbachev (1931 – ) Leader of Soviet Communist Party who pursued reform – perestroika and glasnost to open Eastern Europe to democracy. Menes c. 3000 BC Egyptian pharaoh who united Upper and Lower Egypt to found the First Dynasty. Charlemagne (742 – 814) United Europe to form Carolingian Empire. First western Emperor since fall of Rome. Mahavira (6th century BC) Principal figure of Jainism. Hart, Michael H. 1992. The 100: A Ranking of the Most Influential Persons in History, Revised and Updated for the Nineties. New York: Citadel Press Book. The list by Michael Hart is very useful for finding a list of very influential people. Like any list, everyone will have their own opinion and when it comes to ranking – there is ‘no’ right answer. My main observation is that he has given a high weighting to scientists and writers than I might. I’m surprised at the inclusion of Thomas Malthus as his predictions of overpopulation were wrong and he was mostly ignored. Compared to say Abraham Lincoln who prevented the United States splitting apart and helped to reinvigorate the democratic principles of the Declaration of Independence. 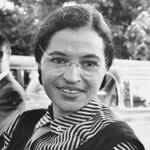 People who changed the world – Famous people who changed the course of history including Socrates, Newton, Jesus Christ, Muhammad, Queen Victoria, Catherine the Great, Einstein and Gandhi. Inspirational people – People who made a difference in a positive way and left the world a better place. Includes Eleanor Roosevelt, Mother Teresa and Emil Zatopek. Not trying to be rude but Muhammad and Newton do not deserve to be above Jesus. From a historical point of view and looking at the legacy he left, there’s no doubt he’s the most influential person of all time. I must read this book, because being a Non muslim the auther given 1st rank to prophet mohammed pbuh why i don’t know. i must read perfect seerah of prophet. How it’s not Jesus in #1? Jesus is easisy the most famous and influential person of humanity. There is more books, films, paintings, music about him than any other, he’s the central figure of the greatest religion of world, 2000 years of history, 2 billions Christians, 32% of world population, the global calendar, greatest instituition is Catholic Church, how is he behind Newton that lived only in the last 300 years? of even Muhammad? Come on. Newton bigger than jesus? That is weird. Simon Bolivar only 48? and what about San Martin?